Small business owners have lots of gaps they need to fill: better manage their operations, reduce costs, increase revenues, gain visibility. But they don’t have the time or money to spend on large systems, or the ability to customize generic, one-size-fits-all solutions. 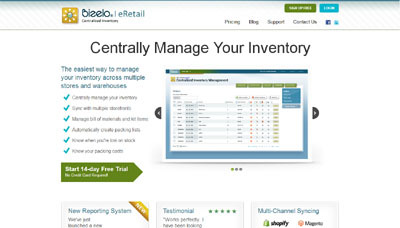 Bizelo provides Small Business with online, self-service, subscription-based apps that have just the features you need without the hassle or the cost of more complex systems. We provide affordable, easy, dependable, and industry-specific online applications that help Small Business owners better understand and manage their business. Bizelo’s small business apps (“mini-apps”) are web-based applications that are purchased as a low-cost, monthly subscription (most apps are less than $30 a month) that work simply and simply work. Each app is specifically set to solve a specific problem for a specific market or industry niche. For example, “Inventory Management for Etsy Retailers” or “Scheduling for Beauty Salon Owners”. There are millions of small businesses in the United States alone. Bizelo has already served not only small businesses in the US, but worldwide. Our customers span the US, Canada, Australia, New Zealand, England, Italy, Germany, Spain, and many other countries. This leads us to believe that while the economies and cultures of the world may differ, the needs of small businesses are pretty much the same worldwide. Our apps average around $25 per month as a subscription price. Our aim is for each “mini-app” to sustain a market of around 1,000 customers each, which nets $25k per app per month. Scaled across a few hundred apps, this results in a fairly sizable business.